"The opportunities are endless." You may have heard that when you embarked on your startup journey. However, little did you know that it is an understatement. In a corporate job, you get direction from your boss. However for an entrepreneur, every direction can be the right direction or the wrong direction, simultaneously. Every decision can make a profound impact on the course of your company, however it is unknown if was the the right decision until much after it is taken. That's why there is no ONE route, guide book, playbook, piece of big data, or compass an entrepreneur can get a definitive direction from. Gut instinct - Trusting your sixth sense will help drive your decisions quicker. Data Analysis - Assessing both historical and proxy data can provide "guesstimates" for your decisions. Customer Validation - Ask, learn and create for your buyers and users. They can serve as a big part of your startup compass. Tools - Modeling techniques such as weighted probabilities and decision trees can add a structured component to driving your company. Resources - Online and offline, there are best practices that you can leverage so you don't reinvent the wheel. Mentorship - Find one ASAP. Generally, the more informal the better, as it is most successful when you have not only an experienced mentor, but a friend. Remember not to overuse any of the above points, as then you may be pulled down the wrong path. Tell us how you make your decisions in the comments below? 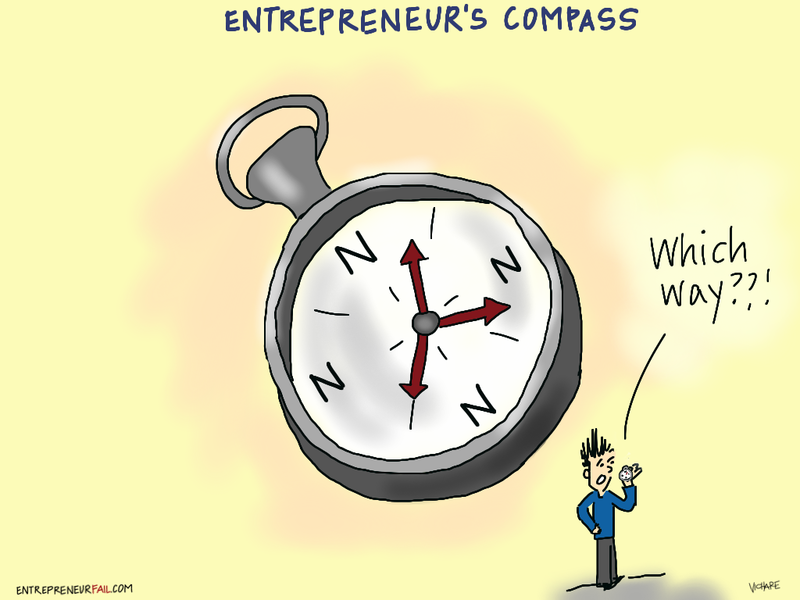 What do you use as your startup compass? In this area of the business it's not possible to get your deal at the single click. It's upon you to go and make your luck. You can look at here now the different conditions for the work which has the real meaning. There is the new startup is working here with the help of which you can find the ten resources for your life. You can also find the useful blog with the nice session and can find something more special. The area of the startup has the right action for the proper guidence. You can follow the link in order to see the better details with the nice action. You can also make your business deal with your page and can contact for more information. A good guide to use startup gps for business plan or direction. This analysis of business plan and services should useful for any business. Also check our translation services at https://www.besttranslationservices.com/app-localization-services. Thanks for sharing nice information. In made countries like America doing combating beguilements are incredibly well known in their adolescents. They generally use to play doing combating entertainments. Diversion producers continue reading is to make engaging aptitudes and gain vitality the children. Learning is moreover something to be grateful for yet in every practical sense exhibit to the children appropriate systems to battle is progressively important.